The federal minister tasked with studying a handgun ban for Canada hopes to make a recommendation to cabinet within the next two weeks. 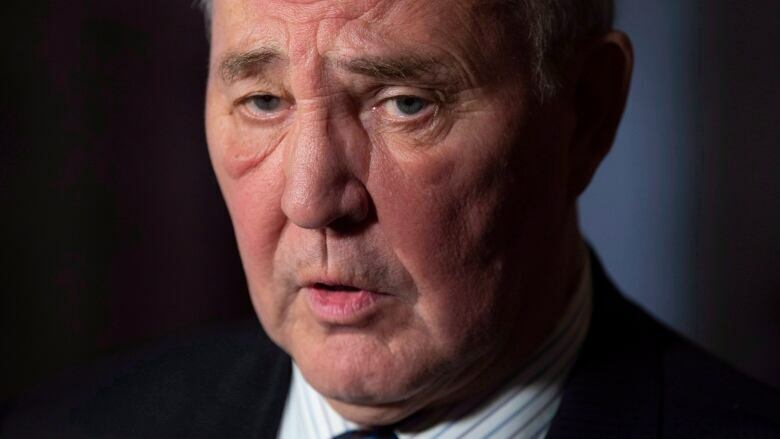 Minister of Border Security and Organized Crime Reduction Bill Blair has spent the last several months consulting with stakeholders across the country, looking for ways to restrict access to firearms for gang members and other criminals. "We've completed that study and we're compiling the results and I'll be going before the cabinet in the coming weeks with results of that review and some recommendations," Blair said during the Trudeau government's cabinet retreat in Sherbrooke, Que. "I'm hoping that we'll be able to do that just in the next two weeks, but again, it depends on a number of different important issues that have to be addressed by government." The minister will carry out final consultations in Quebec, Ontario and Alberta in the coming days. Blair was tasked in his Aug. 28, 2018 mandate letter with studying a full ban on handguns and assault weapons in Canada, working with Public Safety Minister Ralph Goodale on policy, regulations and legislation related to gun control. The examination was launched after a string of high-profile gun-related deaths and injuries in Canadian cities, including Toronto and Montreal. Gun control advocates have pressed the government to adopt stricter laws to restrict firearms, including a ban on handguns. Others, including sports shooters and some police groups, have argued against a ban. "There's no way in my world, or any world I know, that this would have an impact on somebody who's going to go out and buy an illegal gun and use it to kill another person or shoot another person," said Mike McCormack, the president of the Toronto Police Association. Gun control likely will become an election campaign issue, as the Conservatives have attacked Liberal policies as "lazy" measures that would hurt lawful gun owners and do nothing to reduce gun crime. Conservative Leader Andrew Scheer has proposed a series of measures to restrict firearms ownership, including a lifetime ownership ban for anyone convicted of violent crime or gang-related activity.